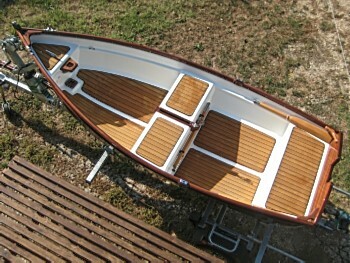 Ben Howson built this beautiful Dixi Dinghy in New Zealand. 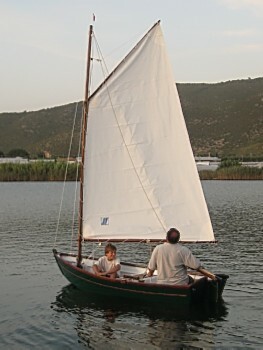 Journalist David Biggs of Cape Town built this Dixi Dinghy as a DIY project for the newspaper. This series of photos of his Argie 10 came from Giuseppe Guerrera in Italy. 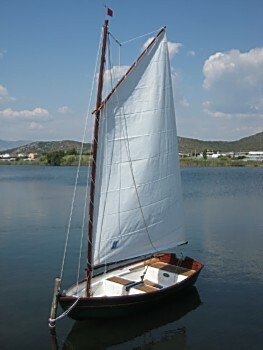 He and his family have built her for his son Francesco, with some variations from standard design. 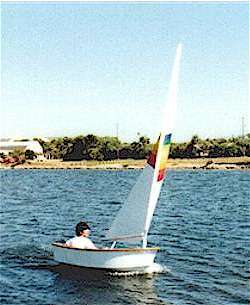 Two great dinghies, these little boats offer lots of fun for the whole family. Multi-purpose, they can be rowed, motored or sailed and are light enough for one person to lift on and off the family car or yacht. Simple stitch and glue construction, they can be built with the minimum of tools, no previous boatbuilding experience and in very little space. Step-by-step instructions included in plywood plans. Either one can be the ideal quality time project for a youngster with Dad's assistance or Dad with Junior's help. Build as a school project which actually has some use after achieving your passing grade. 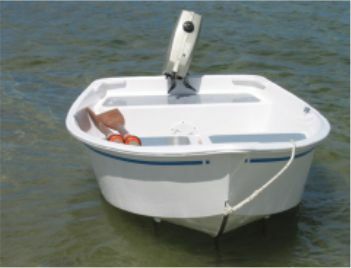 Practical winter project, build one for fishing on your local pond, as junior's "my boat" or as a tender to your big boat. Built-in flotation compartments and a simple sail plan make them great for learning to sail, whatever your age. Plans by email or hard copy for the Argie 10. Hard copy only for the Dixi Dinghy.